One of my sons is an ‘old soul’ – he feels everything deeply, he’s attuned to the emotions of people close to him and he’s extremely thoughtful. When I had my fourth baby, my little boy observed that with “…more babies, there’s more love…” – a four-year-old’s way of acknowledging that we don’t have a limited capacity for feelings. 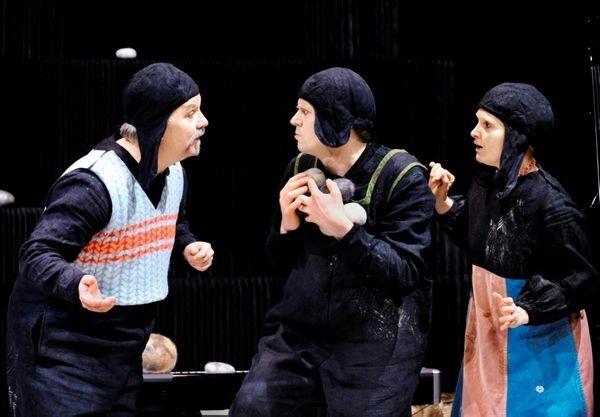 Our unlimited capacity to feel particular emotions is a tricky concept to explain to children and yet a Swedish children’s theatre company, Teater Pero, have done just that with the exquisite production, Aston’s Stones. Aston’s Stones is a warm and thoughtful story about a little dog named Aston who wants to take care of all of the stones he can find. Taking care of stones? Yes, that may sound a little odd but it translates beautifully into a story about our boundless capacity for love. Aston’s stones are big and small, some are ‘sad’ and some are cold. Aston wants to find a way to care of all of them even though his parents become increasingly worried about the growing number of stones in their living room! Since its premiere in 2010 Aston’s Stones has been showcased at performing arts festivals in Copenhagen, Edinburgh and Osaka and turned into a short animated film which won best early childhood film at the 2013 Brooklyn Academy of Music BAMKids Film Festival in New York. 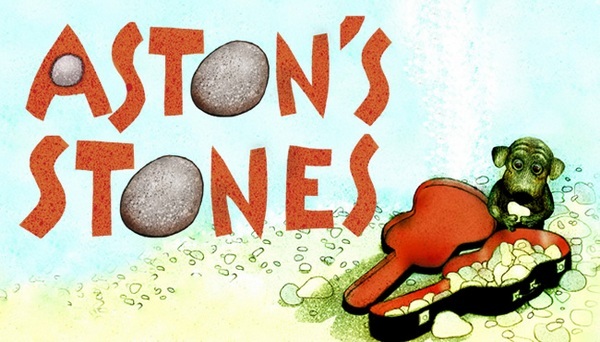 Aston’s Stones is on from 13 to 15 June, 2014, as part of Sydney Opera House’s Kids at the House program. The production then travels to the Arts Centre Melbourne from 18 to 22 June, 2014 and on to Brisbane as part of the Out of the Box Festival, from June 27 to July 2, 2014. Tickets are priced from $18 and are available online through the Sydney Opera House, Arts Centre Melbourne and Out of the Box Festival. The performance lasts for thirty-five minutes and is suitable for children aged three years and over.